"I'm not going to say to the president of the United States 'Let's just walk away from the Paris accord,'" Energy Secretary Rick Perry said Tuesday at a Bloomberg New Energy Finance conference in New York. "But, what I'm going to say is that I think we probably should renegotiate it." Why his position matters: Perry joins Secretary of State Rex Tillerson, Jared Kushner and Ivanka Trump in thinking the US should stay in the 2015 climate deal. Steve Bannon and Reince Priebus are on the other side. Next steps: President Trump campaigned on withdrawing from or even canceling the deal (the latter which isn't technically possible), and will make a decision by the G-7 meeting at the end of May. A meeting of climate negotiators earlier in May in Germany could shed some light on which way the administration is leaning. 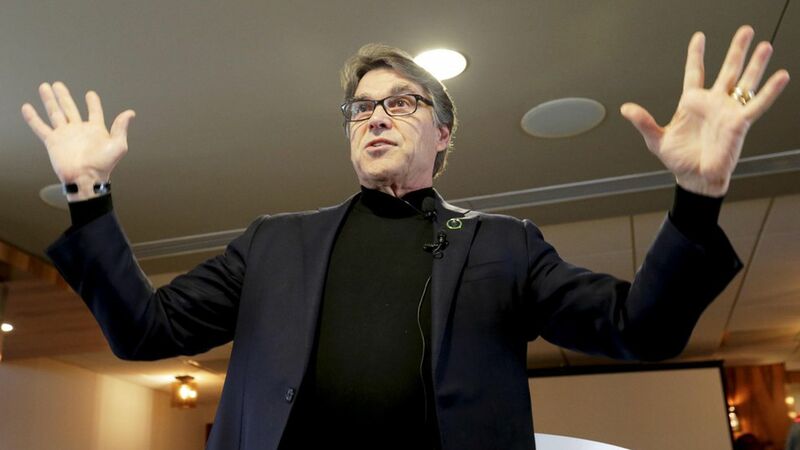 Speaking of Germany: At the conference, Perry called out Germany in particular for displaying ambitious rhetoric on addressing climate change but instituting policies, such as closing down nuclear plants, that ultimately increase its greenhouse gas emissions.